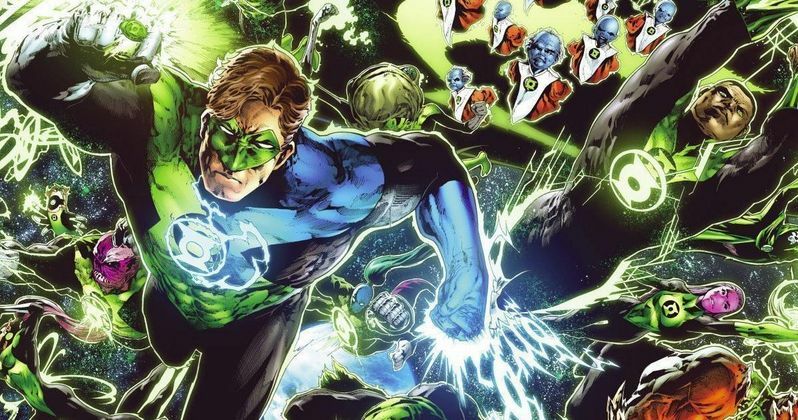 Green Lantern Reboot Is Titled Green Lantern Corps. During the epic DC and Warner Bros. panel in Hall H at Comic-Con, an early rumor was confirmed when it was announced that the upcoming Green Lantern reboot is officially titled Green Lantern Corps. Nothing further was revealed about the movie, and no casting was announced. This makes sense, as the film isn't scheduled to hit theaters until June 2020. That's a full five years away. Still, many thought a Green Lantern actor would be announced at Warner Bros.' epic event, which did tease both of next year's big DC releases, Batman v Superman: Dawn of Justice and Suicide Squad, with never-before-seen footage (which may or may not be available on the internet in the very near future). An earlier report claimed that both John Stewart and Hal Jordan will headline this sci-fi superhero adventure. And it has been widely rumored that these characters will be played by Tyrese Gibson and Chris Pine, respectively. The fact that no casting was announced for either character sheds some truth on the often told rumor that Green Lantern is not in most of Justice League Part 1, only showing up at the end to warn the other superheroes of a threat from deep space. While the title Green Lantern Corps. certainly hints that Hal Jordan and John Stewart will be a part of the action, that was not confirmed. It was previously reported that the movie will also include third most popular human Green Lantern Guy Gardner, introducing the character to the big screen for the first time. Green Lantern Corps. is an intergalactic police force that controls over 3,600 sectors of the known universe. The idea of introducing Green Lantern Corps. on the big screen is not new, and the ruling force was seen in the original 2011 Green Lantern starring Ryan Reynolds. Though, it focused more on the various alien Lanterns and did not introduce any of the other human (or Earthling) characters known from the comic books. What do you think? Is this the best way for DC to go?